We can confirm that the newly installed average speed cameras on the A59, Preston, from Junction 31 of the M6 at the Tickled Trout, through to New Hall Lane on the way in to the City Centre go live from tomorrow, 14th December 2017. 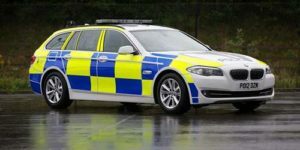 Those exceeding the limit modestly in Lancashire may be eligible for a speed awareness course or a conditional offer of a fixed penalty but those travelling above a certain level will have to go to Court. The protocol adopted by Lancashire Constabulary is notably kinder to motorists than the national Magistrates Court Sentencing Guidelines. If you are caught speeding by the new average speed cameras in the 30mph limit on Brockholes Brow at speeds up to 35mph, no action will be taken against you. Speeds of 36mph to 42mph attract the offer of a Speed Awareness Course (to those eligible to participate who have not attended such a course in the last 3 years) or a conditional offer of a fixed penalty. Eligibility for a fixed penalty is conditional and that condition is that you currently have 8 relevant penalty points endorsed on your driving licence or less. Points are relevant for three years from offence date to offence date. The fixed penalty is a fine of £100 and your driving licence will be endorsed with 3 penalty points. Speeds of 43mph to 49mph are dealt with by way of fixed penalty only (again, where eligible) with no opportunity to attend the speed awareness course. Speeds of 50mph plus are only dealt with at Court. That is where the you don’t want to end up! Once at Court, the guideline sentence for speeds of 51mph in a 30mph zone is a disqualification from driving for 7 to 56 days or 6 penalty points together with a Band C Fine which has a start point of 150% of your relevant weekly income, a 10% or £30 victim surcharge (whichever is higher) and the Prosecution will seek £85 costs if a guilty plea is entered. If you already have more than 5 penalty points endorsed on your licence then you would face a totting up disqualification for a minimum period of six months. If you find yourself in that position, we can help save your licence. For the sake of completeness, speeds of 41mph to 50mph dealt with at the Magistrates Court attract a guideline sentence of a disqualification from driving of 7 to 28 days or the imposition of 4 to 6 penalty points and a Band B fine which has a start point of 100% of your relevant weekly income. Again, the 10% or £30 (whichever is higher) victim surcharge applies together with a prosecution application for £85 costs if a guilty plea is entered. If that sentence takes your diving licence to 12 penalty points or more, again, you would face a disqualification from driving for a minimum period of 6 months under the totting up provisions and need to give us a call. Challenging the Prosecution may prove to be a costly exercise for motorists with the lower costs scale currently starting at £620 for Prosecution costs applications for contested cases. We have recently helped a number of people who have failed to understand or realise the significance of average speed cameras or how they operate, notably on M6 near Wigan, the A6 from the Capitol Centre in to Preston and on the A565 to Southport. If you see large yellow poles with cameras at the top of them at the side of the road, be alert to your speed. Warning signs should be in place. Your speed can be monitored between any two cameras; the cameras do not check your precise speed as you pass them (like a normal static speed camera) but your speed is calculated by the time it takes you to drive between any two active cameras and the distance between them. Of course, the cheap advice is not to speed at all and those trying to leave Preston City Centre on a winter’s evening can only dream of reaching speeds of 30mph in the current gridlocked chaos! If however you do find yourself at the receiving end of a Single Justice Notice Procedure, a Summons to Court or a postal requisition, please contact us for straightforward expert advice. Our typical fee for providing representation for a speeding case in Lancashire is £350 +VAT. How much do you value your driving licence?